Mouser Electronics, Inc., is now stocking the LMZM33602 and LMZM33603 power modules from Texas Instruments (TI). These completely integrated 4 V–36 V power module solutions combine a step-down DC-to-DC converter with power MOSFETs, a shielded inductor, and passive components in a compact, low-profile package. To simplify design and offer even greater ease-of-use, the LMZM33602/LMZM33603 power modules require as few as four external components and enable engineers to eliminate the loop compensation and magnetics part selection from the design process. 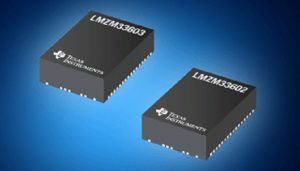 The TI LMZM3360x power modules, available from Mouser Electronics, are 2 A (LMZM33602) or 3 A (LMZM33603) synchronous step-down DC-DC converters. The LMZM33602 offers an output voltage range from 1 V to 18 V at 2 A, whereas the output voltage range of the LMZM33603 is 1 V to 13.5 V at 3 A.. 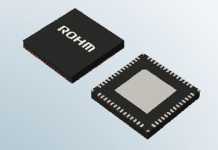 Both converters allow synchronization to an external clock and feature an adjustable switching frequency from 200 kHz to 1.2 MHz. 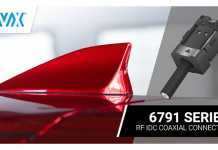 The switching frequency can also be adjusted by either an external resistor or a sync signal, which allows the solution to accommodate a variety of input and output voltage conditions as well as optimize efficiency up to 95 percent. For support and development, the LMZM3360x power modules utilize the LMZM33602EVM and LMZM33603EVM evaluation modules and TI’s WEBENCH Power Designer. 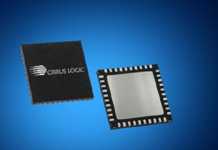 Target applications for the LMZM3360x power modules include factory and building automation, smart grid and energy, industrial, medical, defense, and inverted output applications.